So soft and snugly, our woodland name blanket is a favorite among new parents and makes the perfect baby shower gift. It is sure to become your little one’s favorite blankie to snuggle with! 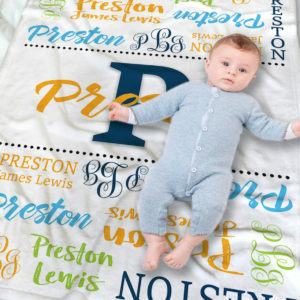 We’ve combined the classic baby shower gift of baby bedding with the relatively new concept of birth statistic announcements into this darling woodland name blanket. 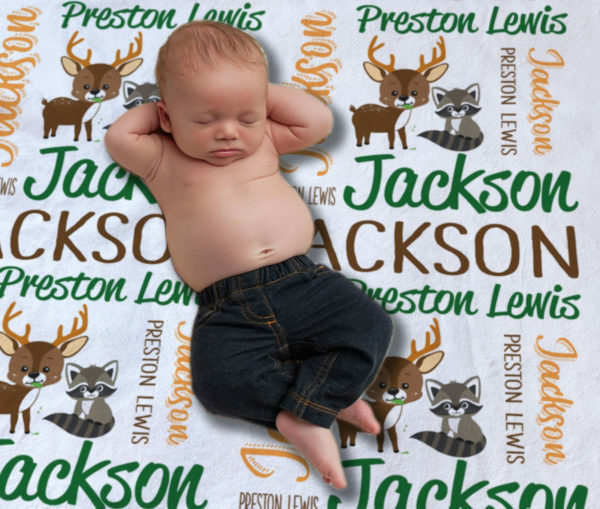 Expertly printed onto exquisitely soft fleece, this personalized woodland name blanket will offer you a unique way to announce your child to the world while also becoming a cherished childhood heirloom with time.